Charleville Road has a Walk Score of 85 out of 100. This location is Very Walkable so most errands can be accomplished on foot. 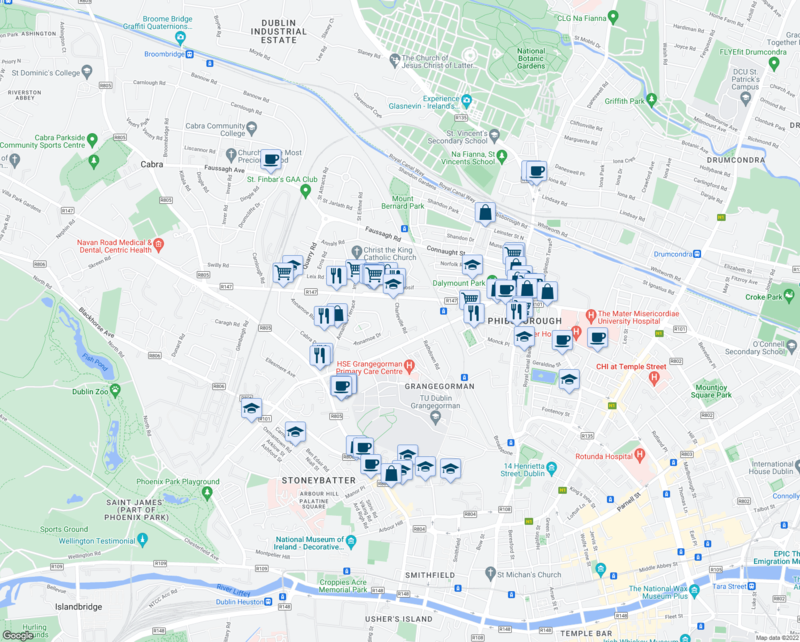 Nearby parks include Great Western Square Park, Mount Bernard Park and Blessington Street Park. 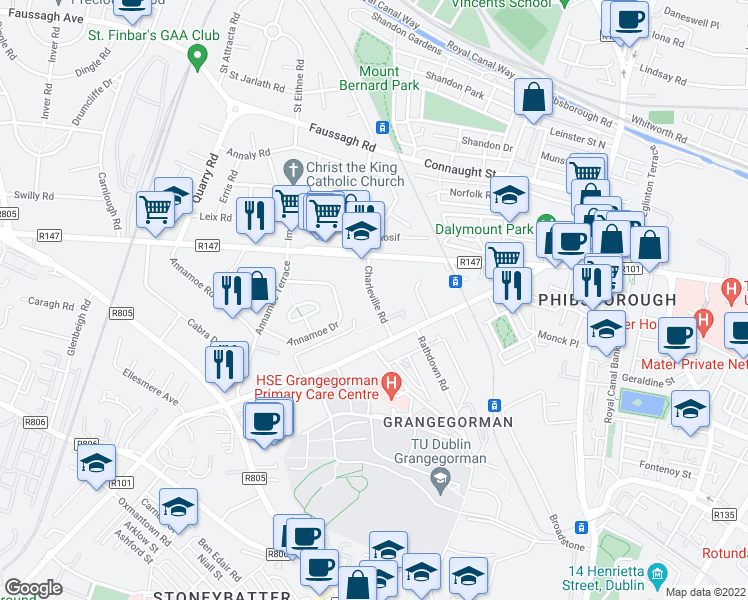 Explore how far you can travel by car, bus, bike and foot from Charleville Road.